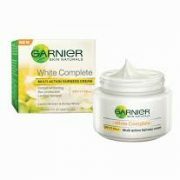 Ensuring a visibly fairer and radiant skin, this ‘White Complete Day Cream SPF 17’ will make you look gorgeous. Ensuring a visibly fairer and radiant skin, this ‘White Complete Day Cream SPF 17’ will make you look gorgeous. It will also help you reduce dark spots. 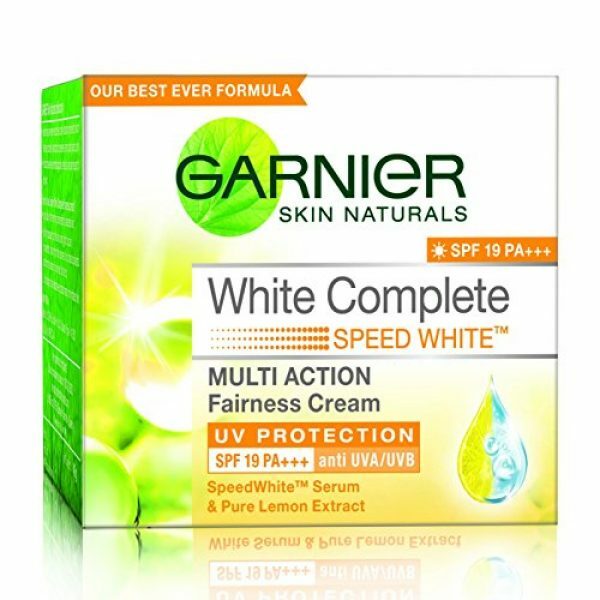 The whitening property of this cream will brighten up your complexion too. 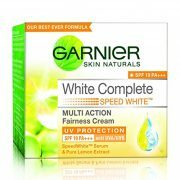 *With unique formula that combines revolutionary active white for instant whitening and flawless fair skin *The only cream that gives 10 benefits for complete fairness including instant whitening, sun protection and lasting fairness *Garnier White Complete is suitable for all skin types and with regular usage it makes skin feel fresh and moisturised with a healthy glow *Pure lemon essence clarify and smoothen skin and SPF17/PA++ to protect skin from further darkening by harmful UVA and UVB ray.